Say bonjour to D.U.C Whisky, a small hand-crafted spirit blended in France. 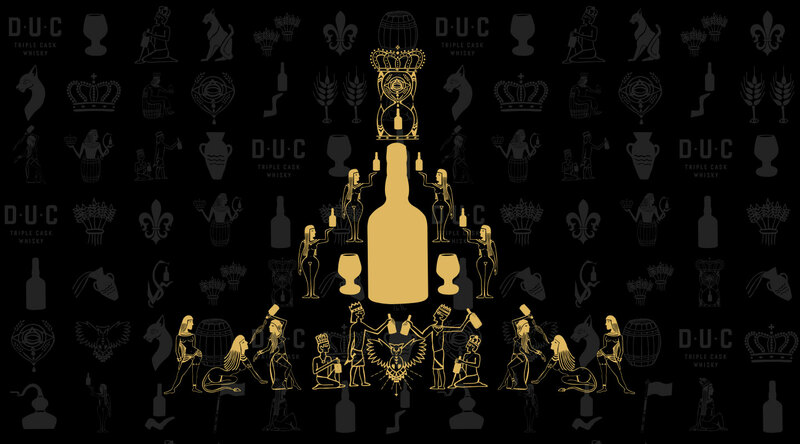 Co-founded by famous French rapper, Booba, D.U.C Whisky celebrates the bold, self-made, and unafraid ready to claim their crown. We worked to introduce the new brand to the world by developing their interactive website and unique brand identity. We can taste the greatness that is to come, oui, oui! The brand draws inspiration from Egyptian culture, which is what inspired the creative Egyptian hieroglyphics illustrations of the whisky distilling process, with a modern twist. 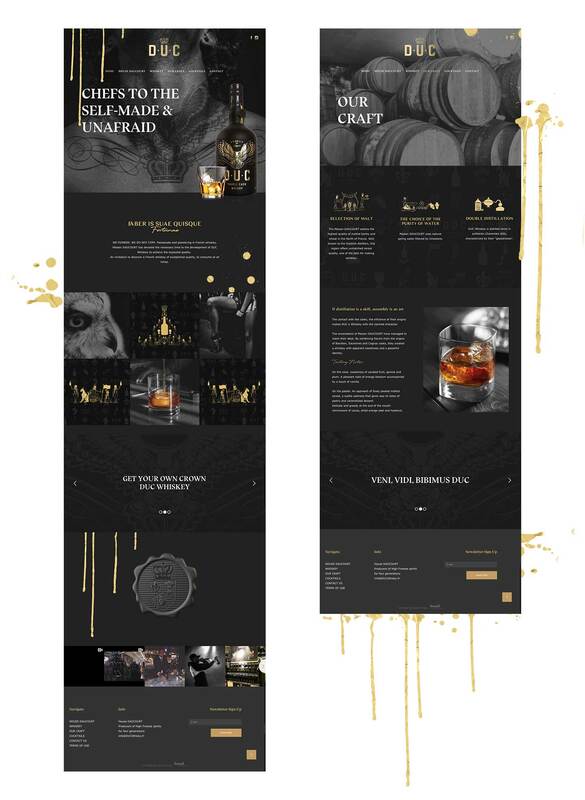 These hand drawn illustrations, created by Mara Daucourt, were then incorporated into new D.U.C Whisky website for a layering effect.